The global economic system is in distress and about to crack. Because the sudden market rise is based primarily on the policies of a president-elect, it is unsustainable, and the downfall will be sudden. Historic global political and economic shifts began with the Brexit vote, followed by the election victory of Donald Trump. Additional upheavals await, including the upcoming French and German elections. Both countries have increasingly popular conservative and nationalist parties that could dramatically influence and change Europe’s domestic and foreign policies, which may be contrary to America’s core interests. Complicating political matters further is the simultaneous inauguration of the new UN head and a new US president. How the new leaders in major sovereign countries and the UN communicate adds more risk and volatility to the world stage. Liberal democracies have trouble seeing eye-to-eye on issues with the UN and each other, so you can imagine what will happen with democratically elected governments with populists and nationalist characteristics. Explosive world debt and the shadow market bring risk. Last October the IMF reported an estimated $152 trillion in world debt, with warnings about tepid growth and deleveraging, with the greatest risk in the Eurozone and China. The shadow markets play a useful role by enabling important transactions while avoiding governmental restrictions and oversight. Because of a lack of transparency, no one knows how big the shadow market is, its components and their level of risk. If US government agencies had difficulty measuring the effect in a reasonably transparent domestic economy during the 2008 economic crisis, what will happen in an opaque one (China)? There have always been several possible triggers and flashpoints; however, today’s threats have a considerably higher probability of occurring in a more technically advanced world. This makes for a perfect economic storm in which everyone will seek a flight to safety in gold. 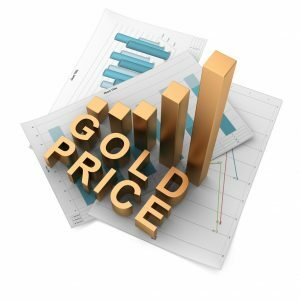 The window of opportunity to purchase gold at a bargain price is rapidly closing, and Goldson thinks the gold price rise will be maintained far longer than the gold bull market during the early years of the 2008 Great Recession.